The Dan MacPhail Memorial Bursary is awarded each year to a graduating high school student to support and encourage their further studies in science and the environment. The bursary was established in honour of a man who was a friend to Coastal Action and a friend of the environment. Dan MacPhail was keenly interested in the natural world and the wise use of its resources. He also loved woodworking and boats. Born and raised in Cape Breton, Dan farmed and fished lobster and raised a family. He also served in the Second World War, then worked for many years as a ferry operator at Seal Island. With the construction of the bridge and the discontinuing of that ferry service, Dan took the opportunity to change the direction of his career and pursue his interest in natural resource management. Dan was generous with his time, skills, knowledge, and wisdom. His tremendous interest in nature inspired many. It is Coastal Action’s hope that the recipient of this bursary will also find interests and life work that are personally rewarding and beneficial to society at large. We love our volunteers at Coastal Action! Our volunteers have an enormously positive impact on our projects. 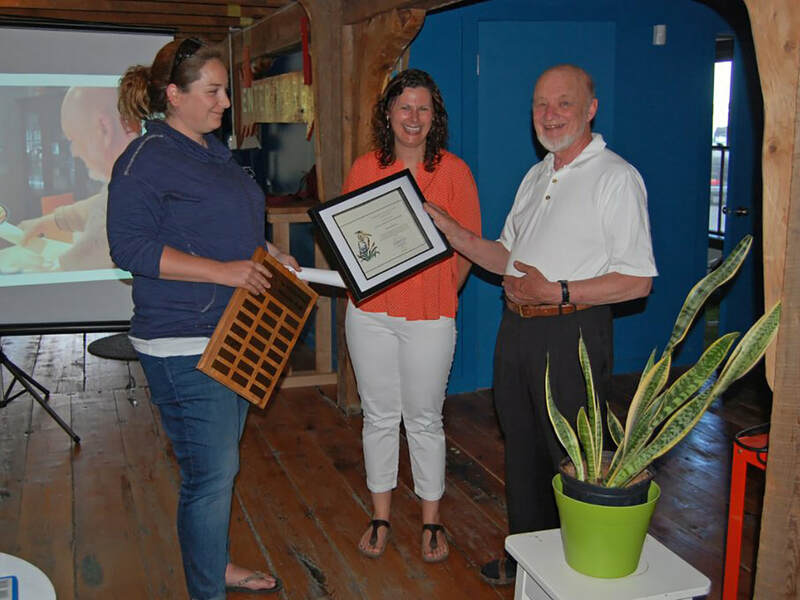 Every year Coastal Action likes to take a moment to recognize all the great work our volunteers do for us by handing out our Paul MacDonald Volunteer Award. Paul MacDonald was a prominent volunteer with Coastal Action for almost 20 years. He was a board member as well as an almost permanent fixture on any of our projects that took place in and around the Mahone Bay area. Paul and Bebe, his trustworthy companion (black lab), spent hundreds of hours helping out with water quality monitoring, habitat surveys, and the installation of in-stream restoration structures in the Mushamush River. He also donated his time as well as the materials for making tern decoys and sign stands for use in our Roseate Tern Recovery Program. Paul was extremely generous in providing his time and support to Coastal Action, which is why we created the Volunteer Recognition award in his name. Shanna Fredericks & Brooke Nodding presenting David Maxwell with his Volunteer of the Year award in 2016. Bailey Silver receiving the Memorial Bursary, 2016. Board member Amy Weston presenting the 2015 Dan MacPhail Memorial Bursary to Laura McGinnis.